turning clay in Lincoln County alone. operation in the near future. 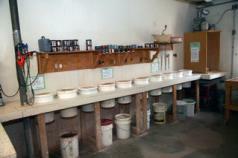 fast, prompt and low cost delivery of all your clay needs. Gary Lee became the owner of Rising Sun in December 1999. 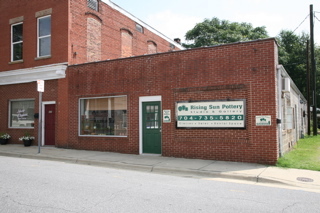 In June 2008, Rising Sun Pottery expanded into the building next door benefiting both the studio and students by creating more warehouse capacity to meet a growing demand for additional pottery classes. Rising Sun students and potters make traditional and contemporary utilitarian stoneware as well as folk art clay creations. Their work is wheel-turned, hand-built, or a combination of both. 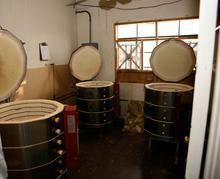 Pots are fired Cone 6 in electric kilns with potters having access to gas and wood fired kilns.